A hornbill with a form of cancer at the Jurong Bird Park has received a survival boost, after it was given a 3D-printed prosthesis fitted on top of its bill. Veterinarians had carefully cut and removed part of the bird’s natural casque to scrape off the cancerous tissue within it, before the prosthetic casque was put in place. It’s survival came as a result of a collaboration between the park’s veterinary team, the Keio-National University of Singapore (NUS) Connective Ubiquitous Technology for Embodiments Center, the NUS Smart Systems Institute, the NUS Centre for Additive Manufacturing and The Animal Clinic. Source: The Straits Times. 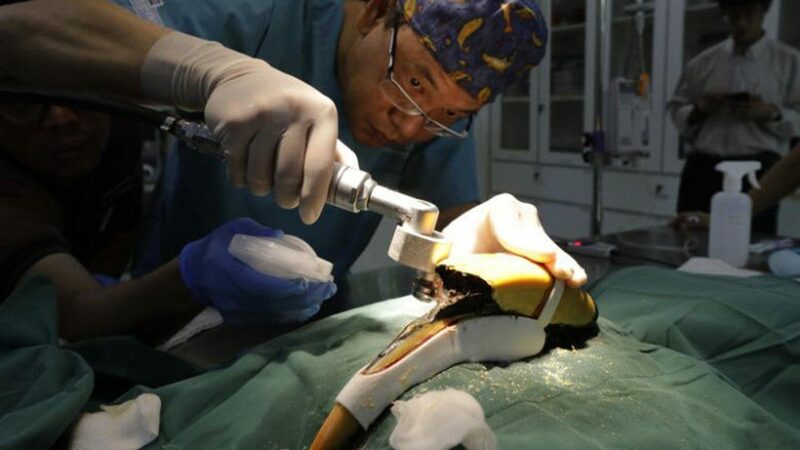 Click this link https://www.straitstimes.com/singapore/environment/3d-printed-prosthesis-boosts-odds-of-survival-for-cancer-stricken-hornbill-at to find out more.